Think about the amount of time you spend inside your home. Especially during the winter months. Sure, there’s the time you spend at work. But when it comes to quality time, chances are most of that is spent at home – and indoors. So, as the time you spend inside increases, doesn’t it make sense that you want to do everything you can to make your home environment as enjoyable as possible? To create a feeling of light and space? Quality time also means spending it in a quality environment. And when it comes to quality of light, rooflights are the one addition that sends your living space – and your quality of light, skyward. High-specification rooflights provide glare-free natural light that is of higher quality than that channelled by vertical windows. This is because vertical windows let in reflected light while rooflights let in direct light. In the darker months, this not only cuts down on energy usage but makes your home look and feel lighter, vibrant and more spacious. Even a smaller sized rooflight can make a massive difference to the internal light and dynamics of a room. A larger one can often transform an entire area or living space. If you have a small, dim room, a rooflight adds life and extends its useage. Turning it into an area you want to spend time in. The yellow glow generated by electric light bulbs is fine for the evenings when it is dark outside. But clean, bright daylight is a healthier and mood-lifting option. Did you know for example that as we age, we require more daylight not less? At 60 we require two to three times more daylight than we did in our 20’s. Yet, as we get older we tend to be spending more time indoors. As well as reducing the need for electric lights and energy consumption, today’s rooflights also allow for better control of the temperature of your internal environment. An important consideration in winter when you don’t want heat to escape, or summer when you want to stay cool. You can also choose from opening rooflights which act as passive air conditioners in summer, channelling the warmer air out as it rises. Rooflights can also be installed in places where traditional skylights or windows are impossible to fit. If the shorter days and available daylight now have you thinking of days to maximise the available light in your home, then talk to Vision AGI. 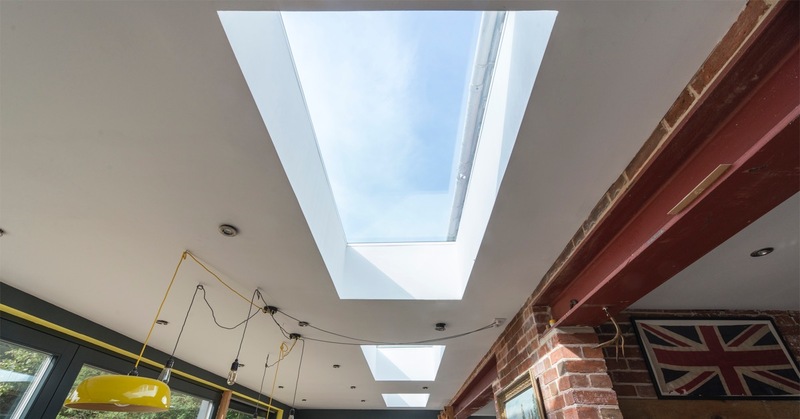 We’ve proven expertise in rooflight installation and offer an extensive range of ready-made high-specification rooflights as well as a bespoke design service. Talk to Vision AGI. When it comes to looking on the bright side now the days ar getting shorter, we have a vision to bring the light in to your home.